With smartly arranged variety, this is a worthy introduction to Wilkinson’s work. 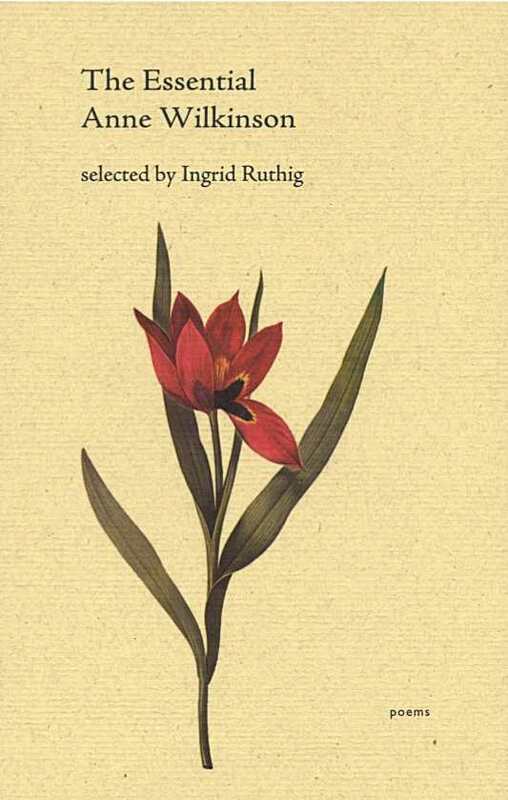 The Essential Anne Wilkinson is an elegant volume featuring Ingrid Ruthig’s selections of the Canadian modernist poet’s work. Against the odds of gaining notice in a field dominated by men, Wilkinson published two respected poetry collections in her lifetime after age forty. Her work deserves a second look for its coiled energy and biting, elemental imagery. Ruthig gathers signature poems from Counterpoint to Sleep, The Hangman Ties the Holly, and Wilkinson’s manuscripts. The poems span from 1945 to 1961, and subjects include lakeside settings, thoughts on reading Kafka, family, suburbia, the act of writing, and motherhood. Wilkinson enlivens everyday concerns with original perspectives. A talent for strong sounds, apt rhymes, and well-earned conclusions links these poems together. The choice to meld features of the human body with nature especially resonates. Lines such as “I was a poet then. Boldly I carried my light / Through all the pressure of black water. / My blood was cold with fire for I swam / In the glimmer of a self-ignited lantern” unfold in crisp, controlled scenes that depict powerful emotions. Other moments expertly braid internal states, such as loss, with external wildness: “My heart is boughed by the cedar / That covers with green limbs the bones of my children.” In different poems, a “twig is a nerve,” lovers “peel the skin of summer / With their teeth,” a speaker finds rosemary to “stitch the leaves / To green hearts on my sleeve; / My new green arteries // Fly streamers […].” Even when hard realizations define her speakers’ experiences, the poet continually maps the physical world with an attentiveness that suggests prayer. The result is an arresting look at one poet’s consistent vision. Another intriguing aspect of the poems is the dark sensibility that manifests throughout. The portrayal of womanhood in terms of mystery and the forbidden recurs: “I was witch and I could be / Bird or leaf / Or branch and bark of tree.” In “Untitled,” “full moons froth with my / And witches’ milk.” Sometimes dangerous invitations seep into unexpected poems. In “Lullaby,” a gentle opening transforms when the speaker asks, “But if I smother, / Breathe a feather / As a shroud?” Time and time again the poet creates a series of provocative masks; speakers shift almost imperceptibly, their voices confident. The impression the book leaves is one of painstaking craft. Though a few phrasings turn precious, the majority of the lines remain sharp. With smartly arranged variety, this is a worthy introduction to Wilkinson’s work, and a useful addition to collections on women’s studies as well as modernism.